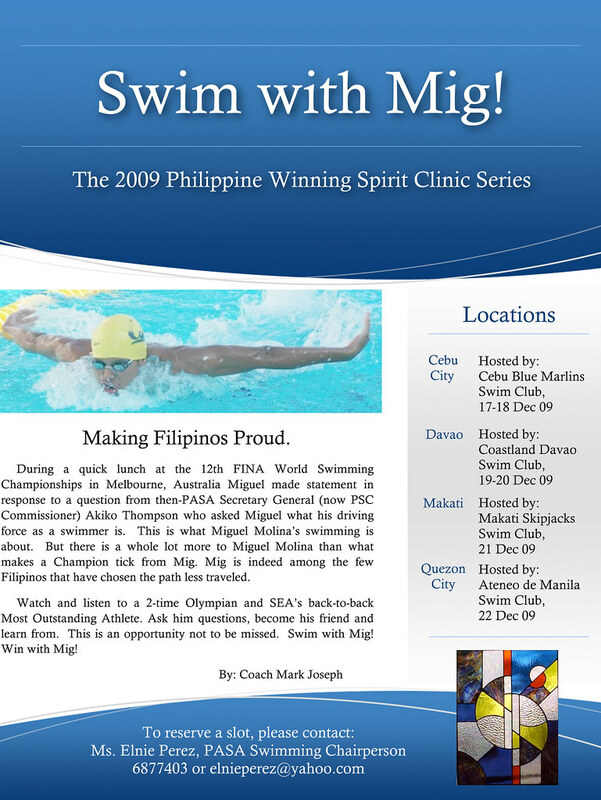 Young swimmers here in Cebu had the opportunity of learning from him, swimming with him and bonding with him last December 17 -18. It was a wonderful experience for the participants ( 8 -16 years old). He is so down-to-earth. Don’t get me wrong, he doesn’t need publicity anyway. Ryan Arabejo is also a member of the Philippine team to Laos SEAG, in case you forgot Jonathan. this is just to remind you. Thanks. Hi Tita, Sorry for this mis-information… I heard Ryan couldn’t make it to Laos because of school that’s why he wasn’t on the list. Anyway, I edited the write up already… We are happy that he can swim with the team! Good Luck! Thanks to you ma’am Elnie! :D God Bless!